Powering TRIGR TV is a new patent-pending technology called Bloomberg Interlink, an overdue breakthrough in television advertising. Bloomberg Interlink serves as a “bridge” that connects a traditional broadcast television system to a digital ad server, enabling Bloomberg to place ads in real time and manage advertising inventory dynamically in a similar fashion to web, mobile and OTT. The current state of ad trafficking on television has not changed for decades, and the process is linear and restricted in scope with significant limitations on reaction time once advertising has been scheduled and booked. A key differentiator for digital advertising is the ability to analyze advertisements at the point of delivery and serve dynamic ads based on available inventory. TD Ameritrade is the launch partner of TRIGR TV, with more advertisers to come in 2019. 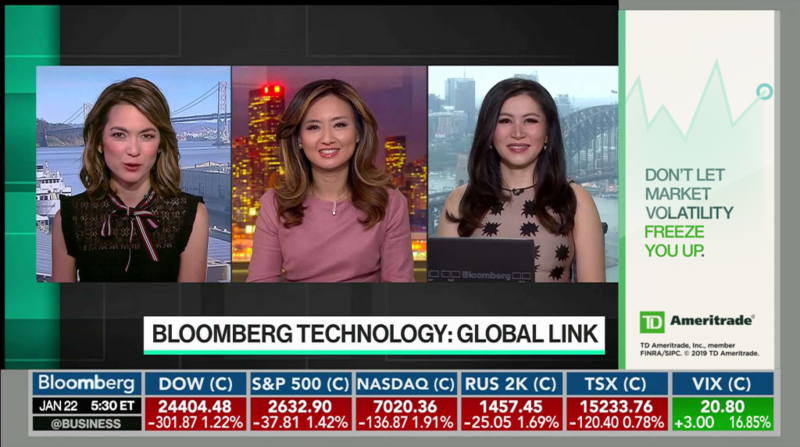 This new breakthrough in broadcast advertising creates an opportunity for brands to serve relevant brand messages to an engaged audience on Bloomberg TV delivering instant opportunity based on real-time variables. TRIGR originally launched in mid-2017 for digital, and has expanded on to social platforms in 2018. Since launch, Bloomberg Media has seen a consistent lift in user engagement (8-22%) when TRIGR data is used to target an advertiser’s message leading to strong advertiser adoption. TRIGR TV joins Bloomberg Media Group’s ad product portfolio which has nearly tripled from eight products in 2015 to 22 in 2019. The company continues to see strong engagement with ad experiences that create native utility to the Bloomberg user. In 2018, revenue from innovative advertising products grew by 44% and accounted for 27% of Bloomberg Media’s total digital advertising revenue. For more details on Bloomberg Media Group’s ad products, visit https://www.bloombergmedia.com/products/.